The house is at the border of the village, after the house the gardens of the village start. On 2 floors, with traditional stone construction, such as alcoves and stone roofs. Property has the right to construct extra buildings on a part of the garden. Platia village is calm, beutifull as it has many gardens, the streets are from stone and marble. 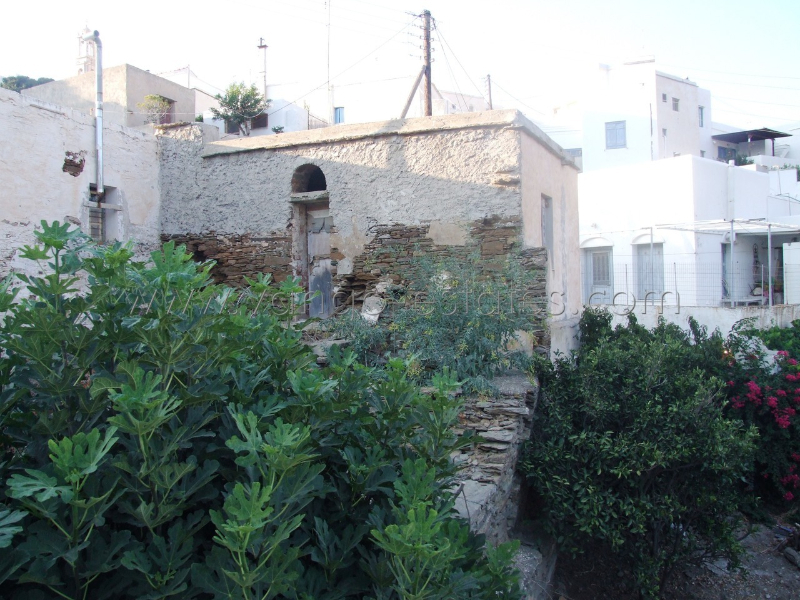 Pyrgos village with its services, restaurants and shops is just 1km away. Panormos fishermen port is 4km, with many tavernas and 5 beaches.